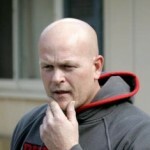 Samuel Joseph Wurzelbacher, known as Joe the Plumber was born in Toledo, Ohio, USA. He is an American conservative activist and author. In 2012, he ran on the Republican ticket to represent Ohio's 9th congressional district in the House of Representatives, losing to Democratic incumbent Marcy Kaptur. He is the author of book, entitled Joe the Plumber: Fighting for the American Dream (with Thomas N. Tabback).